increase adoption of their customizations and the return of investment from Office 365 and SharePoint. But building SharePoint Framework solutions, just like building all other types of customizations, is not without risks. With SPCAF, you will reduce these risks and fully benefit from your customization investments. 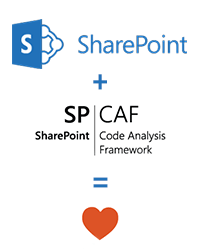 How will you benefit from using SPCAF with SharePoint Framework? SPCAF integrates with each step of a SharePoint Framework solution’s lifecycle so that security and standards compliancy is not only an afterthought. Try SPCAF now and experience its benefits for your organization. 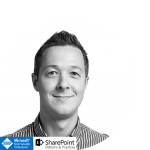 Our experts took to the SPCAF blog to discuss what implications the launch of the SharePoint Framework has for your company’s developers, IT departments and IT strategy. Follow our blog and subscribe to our newsletter to learn more about how SPCAF supports the new SharePoint Framework and what you can do to get the most out of this new SharePoint customization opportunity. 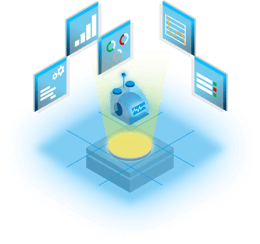 Also make sure to check out our other product SPTransformator, which will help you to transform your old Visual Web Parts to SharePoint Framework web parts. 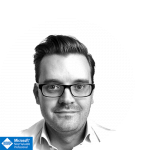 Tobias is a 9 year Microsoft MVP and works as a product owner for our cloud offerings. He has the lead on building a cloud platform for Rencore, where our customers can securely and easily use our tools and offerings as services on demand. Waldek leads our SPCAF product unit adding loads of business experience from working as a SharePoint consultant for more than 10 years. A passionate blogger and regular speaker at conferences, Waldek also is a member of the Office 365 Developer Patterns and Practices (PnP) Core Team to help developers make better use of the Office platform. 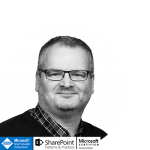 Erwin is the product owner for SPTransformator, helping customers to successfully migrate from on-premises solutions and traditional solution packages to the new add-in model for SharePoint. Erwin is a core member of the Office 365 Patterns and Practices team helping developers worldwide with code samples, scenarios, solutions, and guidance to successfully implement customizations for Office 365.